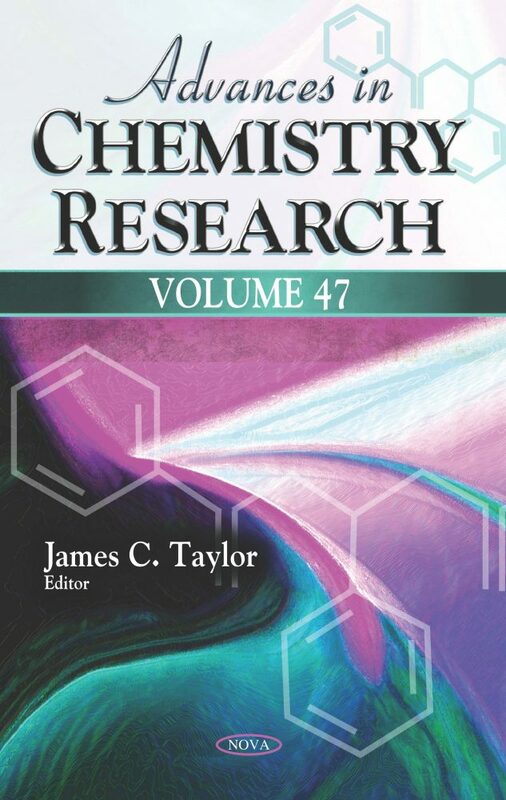 In the introductory chapter of Advances in Chemistry Research. Volume 47, the authors review eterogeneous catalytic systems reported from 2004 to 2018 for some of the key chemical transformations of limonene such as oxidation, hydrogenation and isomerization reactions. The main advantages of the heterogeneous catalytic processes are the easy separation of a catalyst from a reaction mixture, the possibility of reuse and the mild reaction conditions of the processes. Next, a variety of hydroxyquinoline-based compounds from three perspectives, namely their applications as anticancer agents, as sensing agents for metal detection, and the mechanisms of their actions. The authors provide an overview on the ruthenium(II) polypyridyl complexes catalyzed and visible-light assisted procedures employed for the production of radical intermediates from sulfonyl chlorides. In addition, they account the applications of these radical species in the syntheses of functionalized aliphatic and aromatic compounds. Because previous kinetic models assume that the reaction medium was reacting at random and without a turnover associated to thermodynamics exchanges, some included experimental studies aim to show that coupling factor 1 from spinach chloroplasts has latent ATPase activity which becomes expressed after heat-treatment and incubation with calcium. Lastly, optically active ketones are isolated from the domino deprotection/decarboxylation/protonation reaction of racemic allyl or benzyl B-ketoesters and corresponding enol carbonates mediated with both palladium species and unichiral aminoalcohols. Protonation of an ammonium enolate as the key enantioselective step is consistent with the absence of a relationship between the nature of the substrate and the absolute configuration of the isolated ketone.